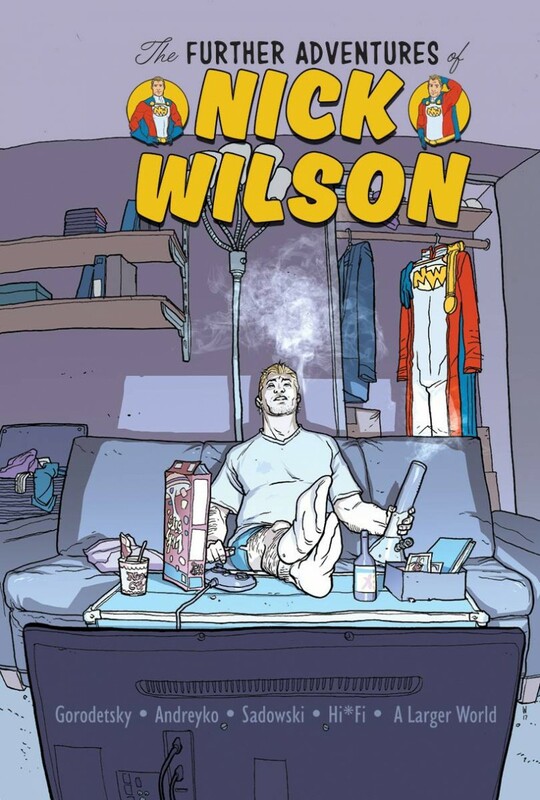 For a few years in his early 20s, Nick Wilson had super powers and all the acclaim associated with them. When those powers vanished, so did his fame, sending him from national hero to late-night punchline. By the time we pick up his story, he is not yet 30 and barely an answer in a trivia contest. Faced with a life in a rear-view mirror full of lost powers, faded glory, former enemies, ex-girlfriends, and forgotten grudges, Nick struggles to figure out who he is today. Packing on an extra 20 pounds and peering through a medicinal marijuana haze, he is trying to build a future when all that’s left is just a man who hasn’t been super for a very long time. These are THE FURTHER ADVENTURES OF NICK WILSON.